Cheap JUUL Pods Alternatives: What Are The Best Options? If you’ve been running a JUUL for any amount of time you will know that JUUL Pods are kind of expensive. You’re looking at $15.99 for a pack of four, with each pod lasting around the same time as a pack of cigarettes. Depending on how much you vape, this means you’re either running out of JUUL pods in a week or a couple of weeks (or, if you’re anything like me, a few days). 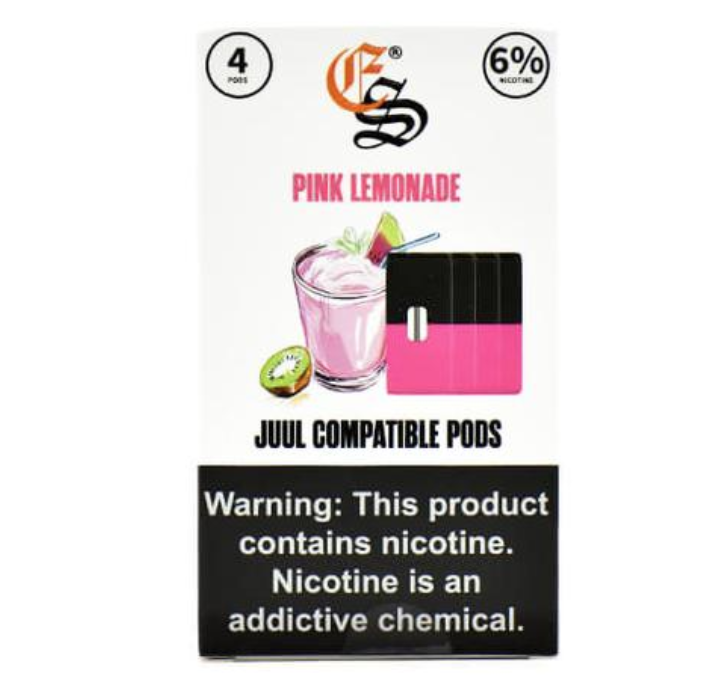 JUUL is still cheaper than smoking cigarettes, but it is VERY expensive compared to other, refillable pod systems like the Mi-Pod system, as E Juice – per bottle – is significantly cheaper. If you want to use JUUL pods and you want to save some money, the only way to do this currently is by signing up to JUUL’s auto-ship program – doing this saves you 15% per order. Doing this is the only way to save money on JUUL pods in an official capacity. You also get a regular shipment of JUUL pods sent directly to your house every month, saving you the hassle of constantly re-ordering the pods. If you’re flush with cash, this is a great way to do things. You save some money and you ensure a constant, reliable supply of JUUL pods direct to your doorstep. "LOADS of Flavors. Bigger Than JUUL Pods. Excellent Value." "Super-Cheap. Tons of Flavors. 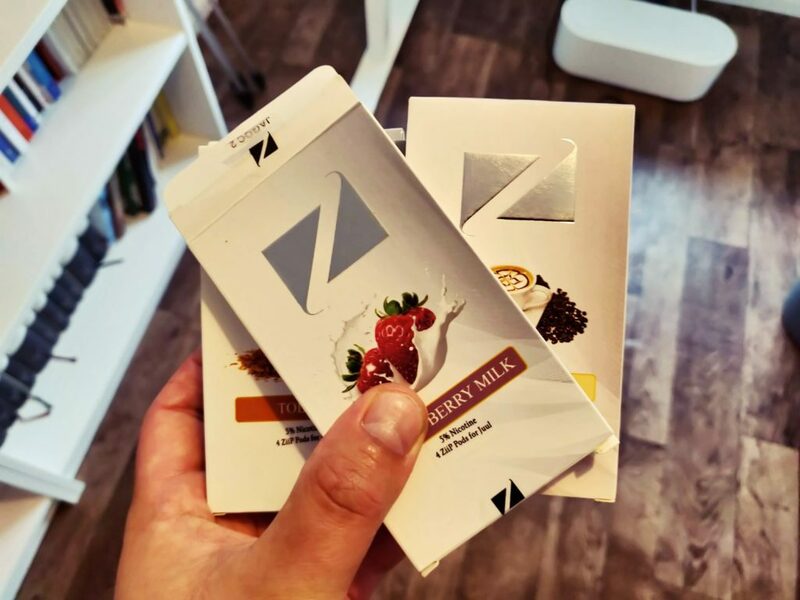 Bigger Than JUULpods..."
"They're Pricey, But When You Vape One You'll Know Why..."
If you want to save EVEN more money, and you don’t mind using third-party pods, you have a couple of decent options in the form of ViV and ZIIP pods. Let’s take a more detailed look at these two third-party JUUL pod systems. ZIIP Pods 100% work with JUUL, I’m actually using them as I write this. They come in more flavor options and they’re also A LOT cheaper ($10.99 per pack in some cases). I’ve actually had quite a few issues with my JUUL Pods, as noted in our JUUL problems post, they either didn’t fire properly or the hit wasn’t great, but the ZIIP Pods have been great so far. 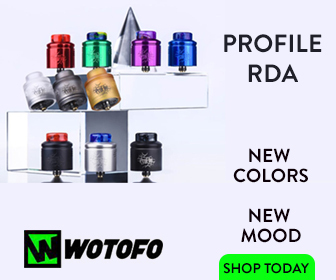 The flavor profile isn’t quite as good as you get with the real deal, but it’s good enough for me and the fact you get more life from them (they contain more E Juice) is a big bonus of using them. They’re larger, holding more E-Liquid, and, bizarrely, seem to fit better inside the JUUL itself, which is why I tend to get more of a consistent draw from them. 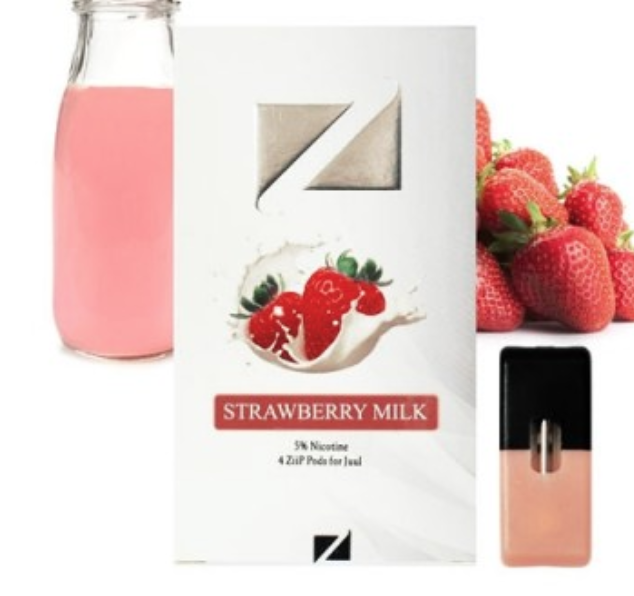 My favorite flavor is Strawberry Milk, it’s a delicate, creamy vape and is incredibly moreish. I honestly wasn’t expecting much from ZIIP Pods, but I was pleasantly surprised by them. If you’re looking for a cheaper alternative or something to run alongside your JUUL Pods and save a little cash in the process, these are definitely with a look. 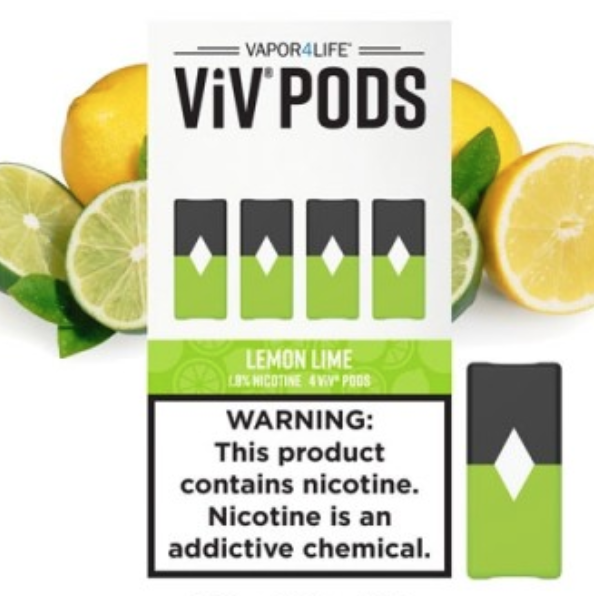 ViV Pods were created by Vapor4Life, one of my personal favorite US Vaper retailers. I know a few of the guys from the company, and they’re all extremely passionate about what they do. The ViV Pods, like the ZIIP Pods, are 100% JUUL compatible and, again, they are cheaper than the real deal ($14.99). You don’t have quite as much choice when it comes to flavor with ViV Pods, but the flavors they do are VERY good. 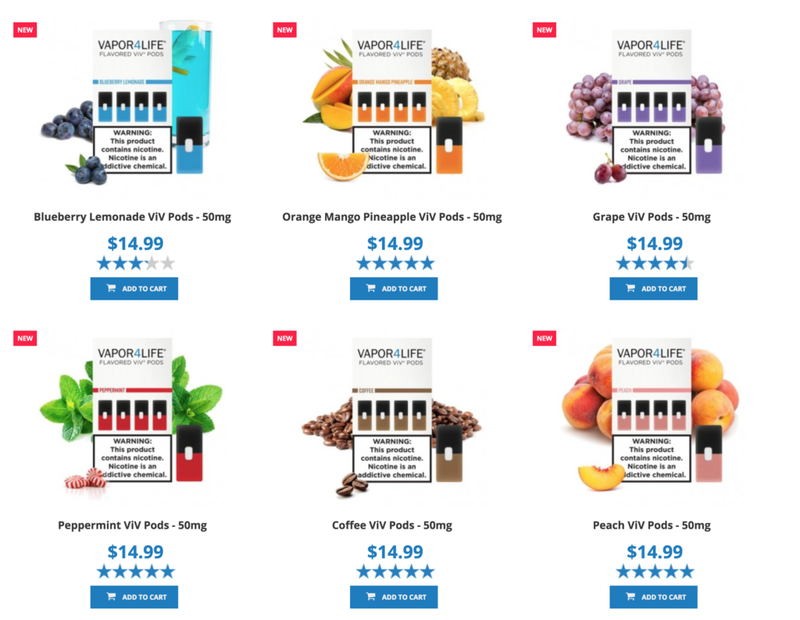 Vapor4Life based the choice of flavors on its most popular selling E Juice lines, so what you get here is what most people want to vape. Like the ZIIP pods, these bad boys perform really well. The Nic-Salts inside them provide a heady hit, and the flavors are all very precise and well executed. My personal favorite flavor from this line-up would have to be Peach, simply because I love peach flavored E Juice – and this one is REALLY good. JUUL pods contain 0.7ML of E Juice. EON pods carry 1ML. That means you’re getting around 30% more E Juice per pod – and, trust me, that will add up over time. EON’s flavor choices are more limited than ZIIP and VIV. 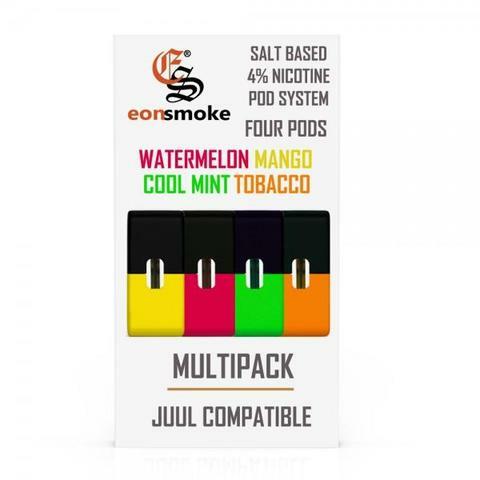 As of right now, these are the current options for EON Pod Flavors: cool mint, tobacco, caffe latte, strawberry, and watermelon. The flavors it does offer, however, are very, very good. My personal favorite is strawberry. I also really like the refreshing watermelon pods too. 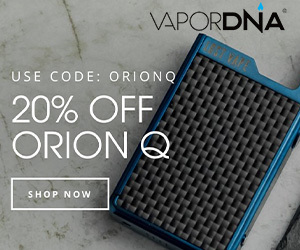 I just wish EON would combine the two in one – strawberry and watermelon is ALWAYS nice to vape together! In terms of nicotine, you’re looking at 4% per pod. That’s 1% less than JUUL, but this should not be considered a negative. EON pods deliver plenty of nicotine and are more than adequate for heavy-smokers looking to switch. I hope this guide helped you out. JUUL pods are very expensive, so it’s nice to know there are some cheap JUUL pods alternatives around. As I test more out, I’ll add them to this list. For now, these are my #1 picks for third-party JUUL pods.